Fuel Purchase Option gives you the ability to pay for a full tank of fuel at the collection of the vehicle and return the car empty at the end of the rental, rather than worry about finding a petrol station near the rental location to refuel the vehicle. The fuel price is calculated at a market competitive rate and varies by make and model of the vehicle rented. The rental location will confirm the cost at the time the vehicle is collected. Please contact the rental location for further details. 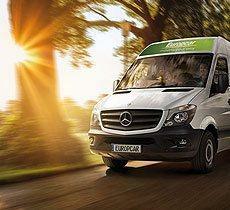 Every Europcar location across Latvia offers Delivery and Collection service. All you need to do is call us and we’ll come and get you at your hotel, home, office or where your car is being repaired. Delivery & Collection service is available with a one hour advance notice and within 30 minutes from your nearest location. Contact the location to arrange for Pick Up service. You can buy yourself an upgrade starting from only 5€ per day. 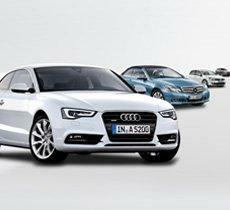 Ask your upgrade from our rental counters in Riga Airport and Downtown. 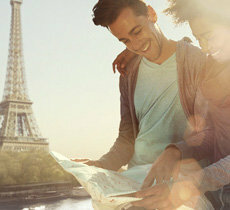 Europcar offers you a variety of extra insurances and insurance packages. Insurances for theft and damages, wheel and windscreen, drivers and passangers - everthing for your safety and comfort. You can reduce your excess to 0€ on all mentioned cases above. Please contact our rental location for further details. Make your journey as comfortable as possible by taking turns behind the wheel. 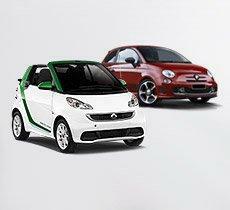 It's now even better value to add a second driver to your car hire. For just 5.17€ a day you can sit back and relax while someone else takes the wheel. Perfect for roadtrips with friends or family getaways. With the one-way rental option, we give you more flexibility when planning your itinerary by letting you pick up and drop off most vehicles at different locations. One-way rentals are allowed between many locations within country of rental and in Continental Europe, inter-country one-way rentals are also allowed between selected major cities. The one-way option is subject to a one-way drop fee. 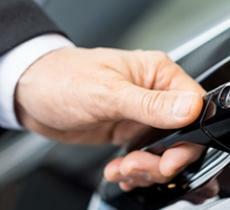 Europcar Chauffeur Service provide executive chauffeur service throughout the world. Allowing you to concentrate on the business in hand wherever you are. 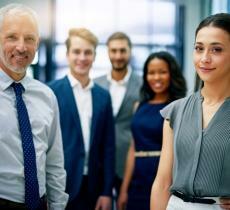 We take care of you, so you can take care of the business!